You will be given a reference e-book to read which has 740 pages And the test will be based on that e-book , you can take final test within 1 year of purchase. Microsoft Access which is also popular for its other name Microsoft Office Access refers to a database management system offered by Microsoft which is a combination of the relational and the popular Microsoft jet database engine which has a graphical user interface (GUI) and tools designed for software development. It is one of the members of the suite of applications of Microsoft Office. Its most recent version was released in 2010 called Microsoft Access 2010. It refers to a relational database software which permits its users to easily manage, run and enter reports on huge amounts of data. Access 2010 is such a useful software program that it allows you to take advantage of a lot of essential features and benefits. You can use it in creating queries, reports, tables and forms and link them together with the help of macros. You can also use it in more advanced functions including writing rich solutions that have advanced user controls and data manipulations. The good thing about Access 2010 is that its features designed to create reports can work suitably with all types of data source. Other features that you will surely enjoy from the software is the data import and export to numerous formats including Outlook, Excel, FoxPro, Paradox, Oracle and SQL Server and features that work by linking data in their present location with an aim of using them for querying, reporting, editing and viewing purposes. You can also use it in downloading data coming from enterprise level databases with an aim of locally manipulating, analyzing and reporting them. Reaching your aim of becoming a certified Access professional is now greatly possible with the presence of the Access 2010 certification program offered by Brainmeasures. The Access 2010 course from this highly reputable company is created in such a way that you will no longer find it hard to master all the vital concepts associated to the use of Access 2010 as well as the major functions of the software. With the help of this online certification course, you can give yourself the chance to undergo a kind of Microsoft Access 2010 training which is a huge help in mastering the vital skills required in using a database including the procedures involved in accurately entering data into tables and forms, creating meaningful and useful reports and operating inquiries into your system’s search data. The Access 2010 certification course is also a major help in increasing the level of your knowledge about the specific features installed in the database and the many advantages that you can get from it. 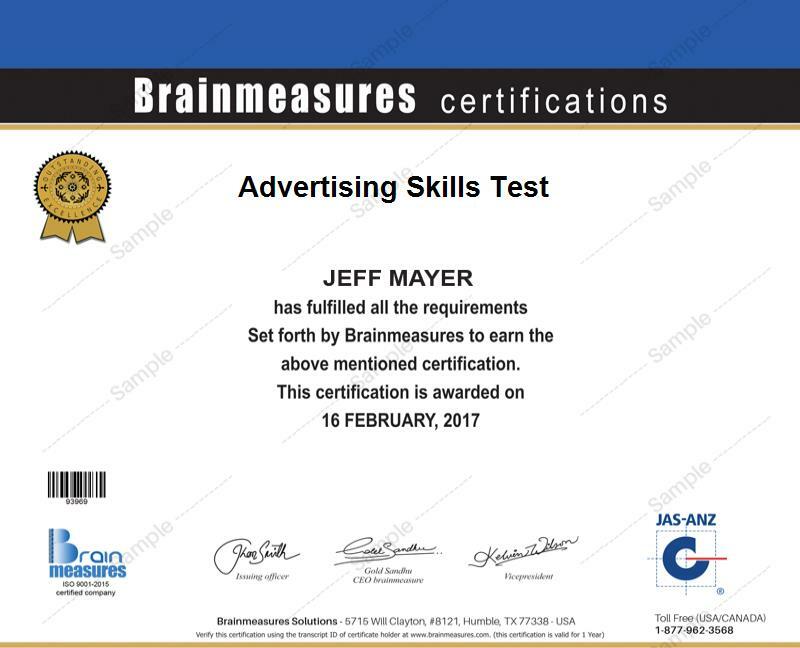 Getting your Access 2010 certificate from Brainmeasures is a major help in showing the whole industry that you are well-informed and you are an expert in this specific field. How to create select queries? The Access 2010 certification program which is now part of the hundreds of online certification courses offered by Brainmeasures is developed in such a way that it can offer numerous benefits to a wide range of professionals and potential users. You can expect this certification program to be ideal for individuals performing a variety of jobs including user support professionals, teachers, trainers, database administrators, database developers and IT professionals who plan on acquiring the most advanced skills and knowledge that are extremely useful in presenting and manipulating data through Access 2010. Your Access 2010 certification is also useful when it comes to significantly increasing the level of your income. You can take advantage of your Access 2010 certification to work as an Access 2010 administrator which allows you to earn an average annual salary of $61,000. You can also work as an Access 2010 database analyst which offers an average salary of $75,000 yearly. If you work as an Access 2010 developer or programmer, then you can expect this career to let you receive around $88,000 to $100,000.